Important information for clubs regarding the registration process for the 2018-19 Development Academy season can be found here. Scheduling: All Academy clubs will be responsible for entering the kickoff times and locations for all home games in Stack Sports. Instructions for this process were covered in the online Stack Sports training courses. The presentation slides from the 2018 webinar can be found here for your club to review. For any questions regarding schedules, please contact Academy@ussoccer.org. Academy Waiver: The 2018-19 Academy season waiver for Players + Coaches is available to download here. Please note that the waiver form is state specific; please download the waiver listed for the state where your club's offices are located. The waiver must be signed by all registrants and uploaded into the Stack Sports system for registration. 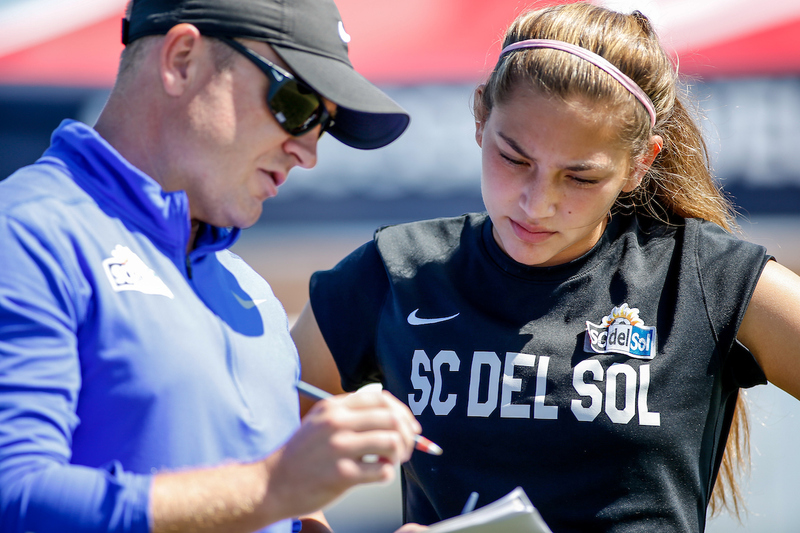 Player / Coach Registration: Players and coaches must be registered and fully approved by U.S. Soccer before they are able to be added to a team's roster. A player/coach has been added to the club's pool with all required documentation uploaded (photo, waiver, etc), before the Academy office can approve. The registration fee is $50 for all players and $50 for all coaches/staff. Once approved, the administrator can pay for the registration fee. Then, a player/coach may be added to a roster by a club administrator. Player Photos: To assist in scouting/identifying players, all clubs are required to take new photos for this season and upload them during player registration. All photos must be taken in front of a plain background, with all players wearing matching jerseys or team gear. No hats or glasses should be visible, and the photo should be framed from the chest up. Staff Roles: Staff identification is critical to ensure that the proper members of your Academy club receive the appropriate communications. For all clubs entering staff/board members to their team page on the Stack Sports site, there is now a drop-down list of staff roles/titles available. All staff entered must have one of the pre-populated roles/titles selected from the drop-down list. If you have already entered any staff/board members, please log into Stack Sports and assign the individual a role from the drop-down. Roster Minimum: Clubs must meet the following minimum requirements for full-time players on each age group throughout the season. Clubs must register the minimum requirement of players by August 3rd. Clubs may have the following maximum number of players for each Academy age group. Overviews of the test are currently on www.ussoccerda.com/sports-medicine. This includes how to perform the tests and all of our concussion protocols.